Although The University of Miami is officially closed from November 23rd- December 1st, 2019, not all students will be going home for the holiday. Flights can be incredibly expensive around this time. Some students may have to work and others may go home with a local friend for a little turkey dinner. Perhaps, instead, you’ve decided to switch things around a bit and stay in Miami for Thanksgiving. Whichever way it works out; there is plenty to do if you are going to be at UM for Thanksgiving this year. Serving a traditional Thanksgiving dinner with all the trimmings, like traditional herb stuffing and Yukon mashed potatoes. And finish your experience with a Pumpkin Pie Mini Indulgence, or two. Now accepting reservations. Join Boulud Sud for a Mediterranean Thanksgiving Feast! Three course prix-fixe menu features seasonal favorites like Pumpkin Agnolotti and Roasted Turkey with all the fixins. $75 per person; $25 for children under the age of 12. Gather your family for a feast of a traditional 3-course Thanksgiving meal for $42++ per person and $22 ++ for children under 12. Open from 12 pm – 8 pm. Reservations strongly suggested. La Centrale – 601 S Miami Ave Ste 181-C Miami, FL 33131. Offering a traditional Thanksgiving feast for $65.00 per guest. Traditional prix fixe Thanksgiving Dinner Menu offered all day on the holiday. Regular Dinner Menu will also be available. Celebrate Thanksgiving at Jaya with a themed Brunch Buffet and bottomless Champagne. From 11:30 am to 4 pm – $125 plus taxes and service charge / $63 per Children (5-12 years) plus taxes and service charge. Enjoy an Italian Feast this Thanksgiving at Dolce Miami Beach. Dolce will be serving its signature a la carte menu. Shula’s 347 – Grill – 6915 Red Road Coral Gables, FL 33143. Will be serving a special Thanksgiving prix fixe dinner. Maybe your student will plan a Friendsgiving with some of their friends who decided to stay at UM. Cooking a turkey meal is ambitious so don’t be surprised if they call home to have mom help them out (or they can call 1-800-Butterball). Have each person make a dish or order a turkey and sides from Publix or Whole Foods and decorate the table (Pinterest has some great suggestions for decorating on a budget). They can grab some great disposable tableware at Party City, making clean up a breeze! Take an Airboat Ride, Rent a kayak and explore the Miami waterways. Relax on the beach, rent a bike or bring your longboard. For more suggestions, read our blog on Nature vs Nurture. Perhaps you prefer to spend your Thanksgiving giving back to the community. There are many organizations, churches and synagogues, and homeless shelters that would be happy to have your help. If you are affiliated with a religious organization in Miami, you may want to start by asking if they have any plans; if not, perhaps you would like to read our blog about local Places of Worship. School is officially closed, but the housing communities will remain open for Thanksgiving. 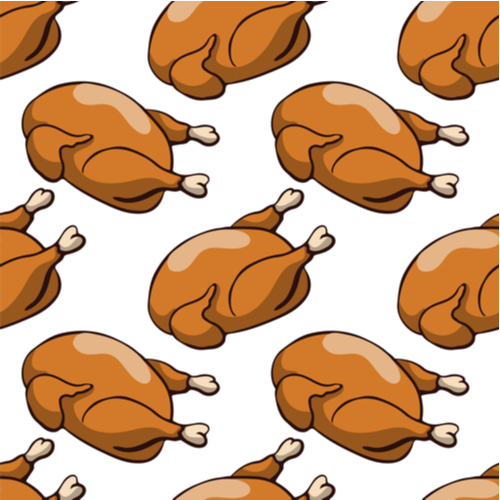 If your student will be staying on campus and has a meal plan, dining centers are closed for the Thanksgiving holiday.